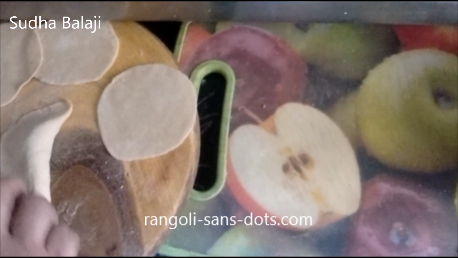 First we have to prepare the puran, Again we can have different types of puran or filling. 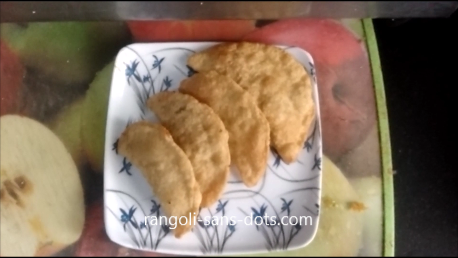 The traditional pooran is made from coconut, jaggery. 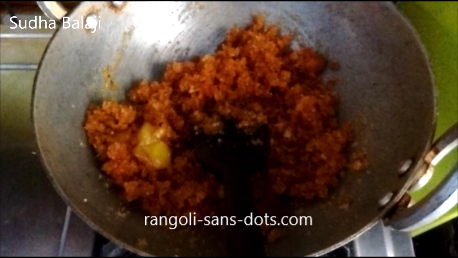 Then add jaggery and mix them well with a ladle. 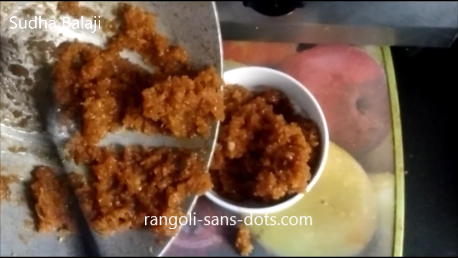 Due the heat the jaggery melts and binds to the coconut. 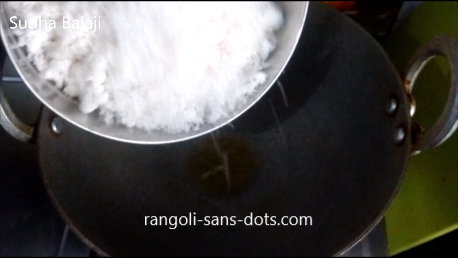 We should stir till the jaggery coconut mixture does not stick to the vessel. The pooranam is ready, add a little more ghee and cardamom powder, mix well , switch of the stove. 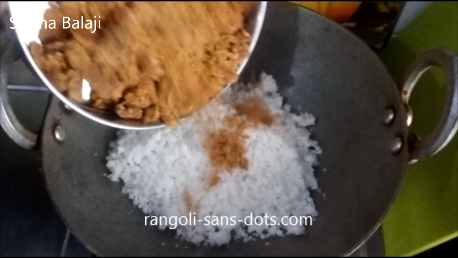 Prepare dough with wheat flour as we do for poori or chapathi. 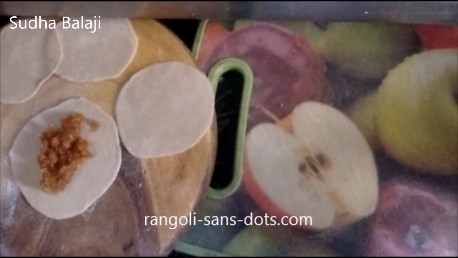 Roll with a rolling pin, fill the pooranam and close the edges of the dough to form dumplings. 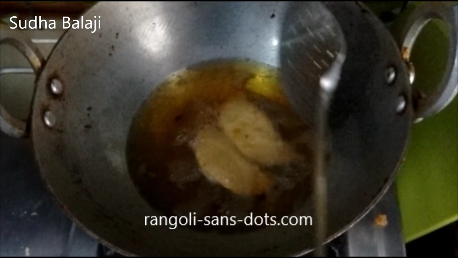 Fry them in oil, remove and place on a tissue paper to remove excess oil. Kozhukattai is ready to be offered to Lord Ganesha for the festival - Vinayaka Chavithi.